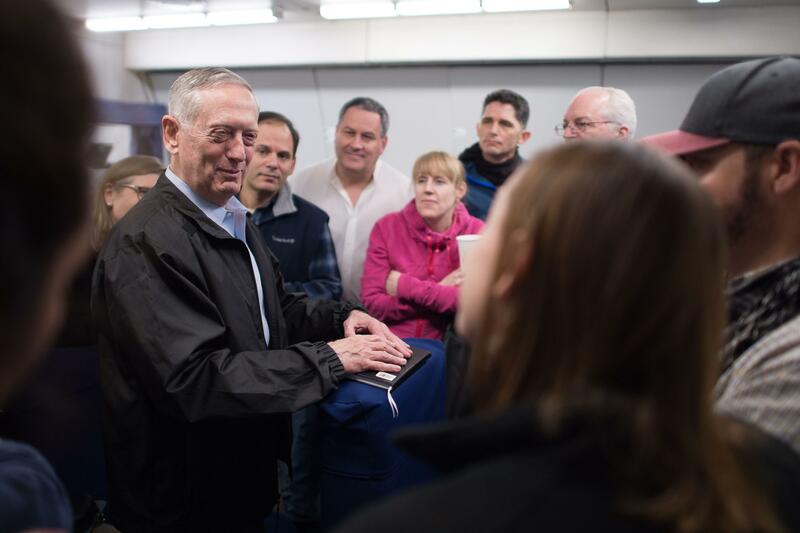 Defense Secretary James Mattis released an initial budget guidance memo that prioritizes current readiness, filling in shortfalls and then building a larger and more capable force. Phase 1 of this effort calls for a FY 2017 budget amendment that would be delivered to the Office of Management and Budget by March 1. This would increase current-year defense spending over what the Obama administration recommended and Congress marked up and approved, though that budget plan is not actually in use right now; rather, the federal government is still operating under a continuing resolution due to lawmakers not passing their spending bills last fall. For the budget amendment to have an effect, Congress would have to take action this spring. This budget amendment would “address urgent warfighting readiness shortfalls across the joint force, and new requirements driven by acceleration of the campaign against ISIS. The amendment may increase force structure in critical areas where doing so would have an immediate readiness impact,” according to the document, and while it will create a net increase in spending over the current FY 2017 spending plan, it may make cuts from lower priority programs as needed to offset some of the cost. Next, the FY 2018 budget request would be delivered from the Pentagon to OMB by May 1, for White House approval and then delivery to Congress. This request may buy more munitions, invest in advanced capability demonstrations, fund facilities sustainment and critical enablers, and grow force structure as needed. Bryan Clark, a senior fellow at the Center for Strategic and Budgetary Assessments (CSBA), told USNI News today that the FY 2017 budget amendment could fund things like fuel and supplies for operations, some procurement of systems already in production, or additional maintenance periods that can be planned and placed on contract before Sept. 30. “This would enable the Navy, for example, to increase steaming days and flying hours to improve readiness of non-deployed forces in the ‘sustainment’ phase of the [Optimized Fleet Response Plan]. It could also enable the Navy to more fully complete its planned maintenance this [fiscal year] and buy ahead some systems it needs for modernization that will occur next year,” he wrote in an email. On the acquisition side, the amendment could add money to completely fund an Arleigh Burke-class destroyer that was already partially paid for but still requires about $433 more, or it could buy more F/A-18E/F Super Hornets – which are already in production – to help address the Navy’s fighter shortfall. Clark said the FY 2018 budget would allow for larger steps towards increasing capacity, such as adding shipbuilding money to in-production programs. “The Navy could move up the first L(X)R to FY18, add a second LCS (for one per yard), add a third SSN, and add F/A-18s to fill its existing strike-fighter shortfall,” he said. For the Navy, this may mean early signs of items included in the future fleet architecture studies, such as a new frigate, extra-large unmanned underwater vehicle, a new unmanned aerial vehicle like the TERN (Tactically Exploited Reconnaissance Node) program with the Defense Advanced Research Projects Agency, and a plan towards the new goal of 355 ships. While it will take the new administration some time to work out these details, Harrison said the FY 2017 amendment may indicate administration priorities in a different way. “A sentence did jump out at me, ‘the amendment will also include offsets from lower priority programs where appropriate,’” he said.